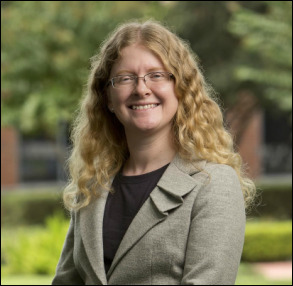 Holly Ordway is Professor of English and Director of the MA in Apologetics at Houston Baptist University, where she teaches cultural and imaginative apologetics (including creative writing) in a 'mere Christian' setting. With a PhD in English literature from the University of Massachusetts Amherst, her academic work focuses on imaginative apologetics and on the writings of C. S. Lewis, J.R.R. Tolkien, and Charles Williams. She is currently working on a book on Tolkien. She is the author of a memoir, Not God’s Type: An Atheist Academic Lays Down Her Arms (Ignatius Press, 2014) and is a published poet, most recently with a poem in the anthology The Word in the Wilderness, ed. Malcolm Guite. She blogs regularly at All Nine Muses, at HBU’s School of Christian Thought, and at Transpositions. Oxford is a city whose voice is bells, in churches and college chapels, from great Tom at Christ Church to the noble ring at Magdalen, from Betjeman’s “intolerably sad” bells of St. Giles to the welcome chiming-bell at Blackfriars. Their sound always felt magical to me, a pure loveliness hinting at something just out of reach. From reading Dorothy Sayers’ novel The Nine Tailors, I knew that there was a particular kind of bell-ringing in England called ‘change-ringing’; it sounded complicated and intriguing, and I thought it would be interesting to hear it someday. Then I learned that one of my friends had been a change-ringer, so I asked him to explain it to me. Unlike simple pealing or playing a tune, change-ringing means sounding the bells so as to provide different permutations of the sequence of notes. And, he added, Oxford was famous for its change-ringing: in fact, it was certain that I’d heard it many times and simply not known what it was. A few days later, as I was walking across town, I heard the bells of St. Mary Magdalen. I stopped to listen. And just like that, the notes fell into place: I could hear the changes. What had been previously an undifferentiated mass of notes – each one lovely but unrelated to the others – crystallized into a pattern. I was transfixed. I sat for half an hour on a sun-warmed stone tomb in nearby St. Giles’ churchyard, letting the joyous cascading sound wash over me, feeling simultaneously an ache of loss as each note fell away, and a lifting of the heart as, like water, the notes carried on and carried me with them. I could not go back to hearing the bells as something without a pattern, without meaning. I am a working writer – I practice what I teach! There is no single ‘trick’ to excellence in writing – except, perhaps, that of reading a great deal and writing regularly! Attention to the craft, attention to language, learning how to ask the right questions, exploration, and revision, revision, revision – these things will help any writer to grow, whether that person is a novice or a long-time writer. My role as a workshop leader is to guide, provide structure, feedback, and ideas, challenge writers to stretch, and suggest new possibilities. I also help writers to pay attention to language – word choice, sentence structure, form – as an essential part of excellent creative work.